We opened this year with some long awaited items that support our belief that good business combines creativity, entrepreneurship and contributes to a making a better world. So, in order to make meaning of the significant spend on packaging, we have been communicating with various charities in developing nations who supply handmade newspaper bags, providing an income for some of the world’s most poor. It wasn’t until one of our lovely customers connected us with her colleagues in India that the idea grew wings. We are incredibly proud to be the first customer of sustybag, a packaging supply business that is planted in both Sherwood and India. 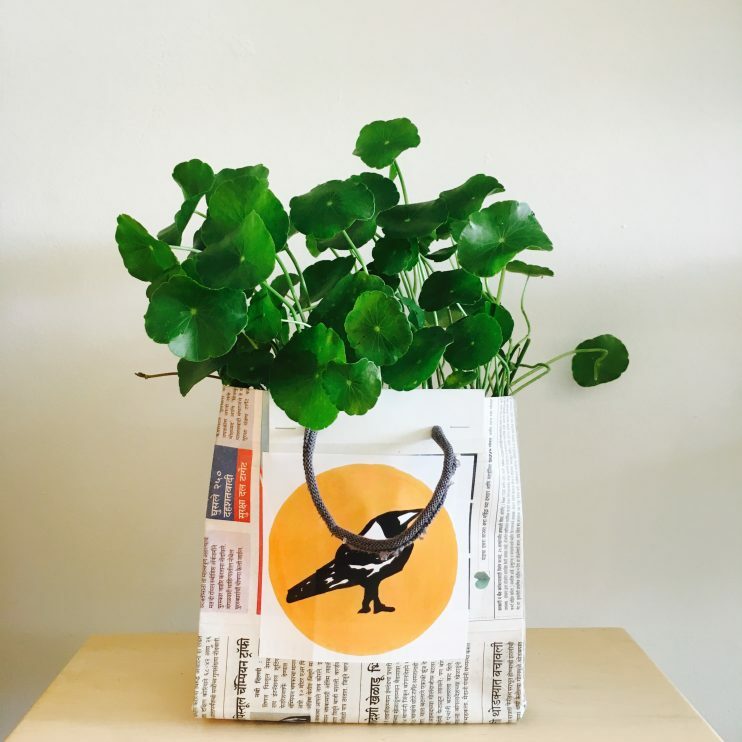 Your onegirlstudio purchases can now arrive home in a one of a kind bag made from indian newspaper and nike sock top rejects; materials otherwise destined for landfill. The labour provides employment and hope for the people of Pune, south of Mumbai.